This article was originally published on FactCheckingDay.com for International Fact-Checking Day on April 2. Get more fact-checking tip sheets here. Instagram can be bigger than life. The three pictures below are fake. The women on the bed is simulating a Disneyland trip, the view of the skyline of New York City can’t be true and the third one is not taken with the advertised Huawei phone. Because faking your life on Instagram is easy, verification can be hard. Below are 10 tips to get a grip on reality. Our challenge is hard. A fugitive convict from the Netherlands is taunting Dutch police and is playing a game of “catch me if you can” on Instagram. Watch the two-minute video below of “Dutch Most Wanted” first. The convict, 35-year-old Shahin Gheiybe is on the Dutch “Most Wanted” list. He fled to Iran. But he still posts on Instagram about his whereabouts (here is the original link to his private account, and a backup link), mostly about Iran. A problem with scrutinizing any of the Instagram posts is that the convict can deceive the police by using bogus location tags in Instagram, backdating the information or otherwise hiding his real whereabouts. We looked mostly at clues about where the convict is clearly visible and, at the same time, is near a traceable object (near a car, in a club, holding a branded knife). Using that method, we tried to reduce the risk of being deceived ourselves. We didn’t want to fiddle with a mobile or tablet, but work on a desktop computer. To do that, we downloaded Desktop for Instagram, a Chrome plug-in. With this, you can also save Stories — Instagram posts that have a very short life because they are not in the timeline of a user. Downloading over hundreds of Instagram videos and photos manually is time-consuming. We used a plug-in for Chrome called Downloader for Instagram. It’s fast, downloads all material in full resolution and supports Instagram story downloads. To find the hidden connection between Instagram users, what our target liked and more, we used Helper Tools for Instagram, another plug-in for Chrome. Our convict posted photos tagged with متل قو Motelghoo — a motel in Mazandaran, Iran. Now look at the link of the location. A part of that link says “locations/ 531195156910169.” That number is important to us. We can cross-check the same location in Facebook — a rather unknown trick which I’m happy to share with you. The full URL is Facebook.com/search/531195156910169/photos-of . With this, you will get pictures on Facebook of the same object in Instagram so you can compare them. Why do you want to do that? Maybe the person claims on Instagram he took a picture in 2019, but on Facebook you see that the building was torn down in 2019. So the Instagram post must be older. Nerd alert! Our convict posted photos of Motelghoo between January 2017 and now. How do we tell Facebook we only want to see that period? By default, you can’t. You have to hack the link we just made: Facebook.com/search/531195156910169/photos-of. You will love this trick because it will allow you to search for any place in the world within a certain time range — all via Facebook. How do we add a time period to the link? Below is the formula on how to do that yourself. Everything you see in red is fixed and shouldn’t be altered. Everything in yellow is yours to decide. Here’s the full link: Facebook.com/search/531195156910169/photos-of/jan/1/2017/date-3/mar/27/2019/date-3/photos-2/intersect. The number 531195156910169 can be any place. If you can’t find a number for a place, use this tool I made. The second section in yellow is a start date. You can use two date formats: either jan/1/2017 or 1/jan/2017. The third part in yellow is the end date. Again, you can use two date formats: either mar/27/2017 or 27/mar/2017. Each month consists of an abbreviation of three digits: jan,feb,mar,apr,may,jun,jul,aug,sep,oct,nov,dec. I used the same system for my Facebook post search tool Whopostedwhat.com. Now we can compare photos from others on Facebook with Instagram posts from our convict. By doing this, we didn’t find any discrepancies. This picture, uploaded on Nov. 27, 2018, shows our target play-fighting a statue, which perfectly suits our need to have an identifiable object and our target in the same photo. We did reverse image search in Google and Yandex. And, as it is often the case, Yandex was the better choice. A slightly bizarre promotional story about this island tells you what you can do there: “Women sit with cigarette in hand, wearing colorful headscarves pushed right back to reveal plenty of make-up and expensive hair-dos.” Now you know. The video shows the person is getting into a red car and is driving away in it. Reverse searching for the license plate didn’t work at first. Sometimes Google and Yandex don’t recognize a blown-up detail of a photo. You can, however, approach this problem by just typing in words you can see into Google Images, without reverse searching the photo itself. This doesn’t work in Yandex. 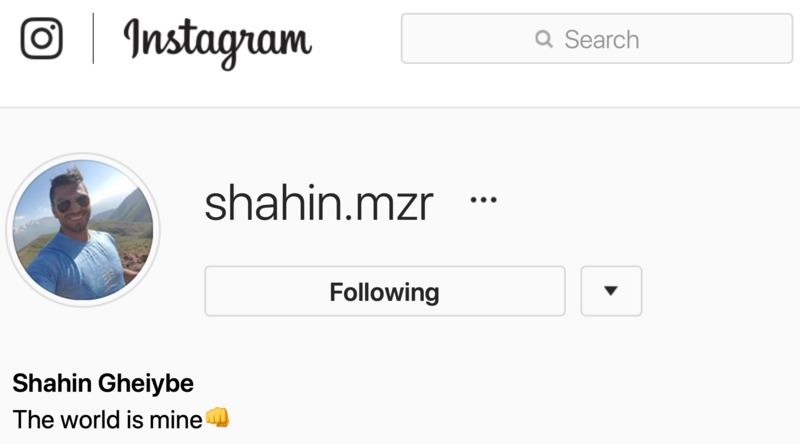 We don’t want to see postings from the target’s own account, so we exclude “site:instagram.com/shahin.mzr.” But are still interested if he (hence shahin.mzr) posted comments on the Instagram posts of others (hence site:instagram.com). Below is what we found. Where is the target now? Our target posted his last video on March 9, 2019, but he may have filmed it months ago. We needed to find something in the video that helped with chronolocation: finding out exactly when it was shot without having any metadata. Besides the when, we needed more proof of the where: There is no hint of a location and no geotag in the Instagram post itself. This is going to be hard. If you look to the left, you see a tree with white flowers. I ask experts via Twitter: what is this? A former BBC reporter and garden specialist correctly claimed it’s a Magnolia Stellata. The tree bears large, showy white flowers. These flowers don’t last long. The magnolia from the video probably blossomed at the end of February or in early March, very near to the publication date of the video. It was probably shot in the northern part of Iran, because Magnolia stellata wouldn’t be comfortable with the climate in the south of the country. We believed it to be a wealthy neighborhood because of the well-maintained garden and the size of the house. The garbage can in the video is orange and well-known in Iran. It’s produced by Razak Plast in Tehran. The details from the balcony are typical of some buildings in the Iranian province of Mazandaran, local people told us via Twitter. We went back to the Instagram videos of Shahin Gheiybe looking for material that could be from Mazandaran. In one video, published on Oct, 5, 2018, he is driving through the rain. The mystery, however, was solved in London by Nathan Lee, a reporter from ITV who had recently attended a Bellingcat workshop. “The Bellingcat course helped a lot. I did various Google image searches of Abbasabad, Tonekabon, Amirdasht and went on the premise of it being a rich/well to do area of Iran,” he wrote. Just 15 kilometers from Abbasabad, in Amirdasht Town, Nathan spotted the house of the convicted fugitive. Gathering all of our findings, we went to the Dutch police. They were very happy with the information and used it in their daily briefing, when they decided what to do next. 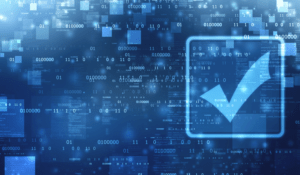 For more ways to fact-check images, check out van Ess’ abbreviated list of tips. Have a tip that didn’t make either list? Send it to us at factchecknet@poynter.org.